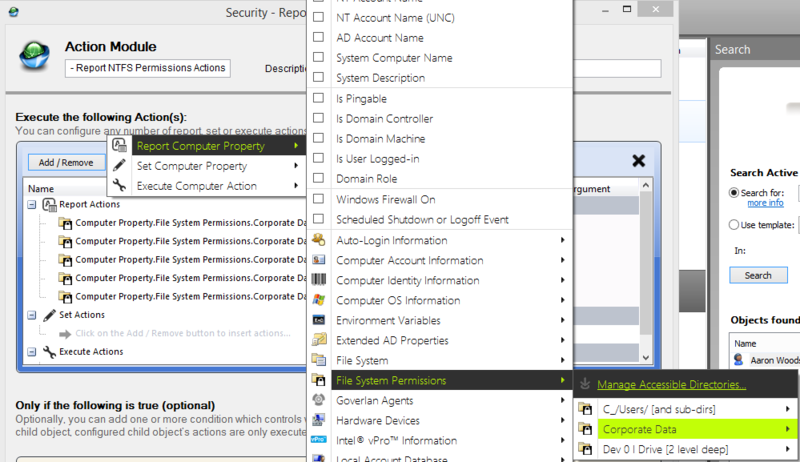 In this Process Automation tutorial, we will showcase how to handle some of the IT processes and active directory management tasks traditionally associated with employee termination from disabling accounts to archiving emails and login history. 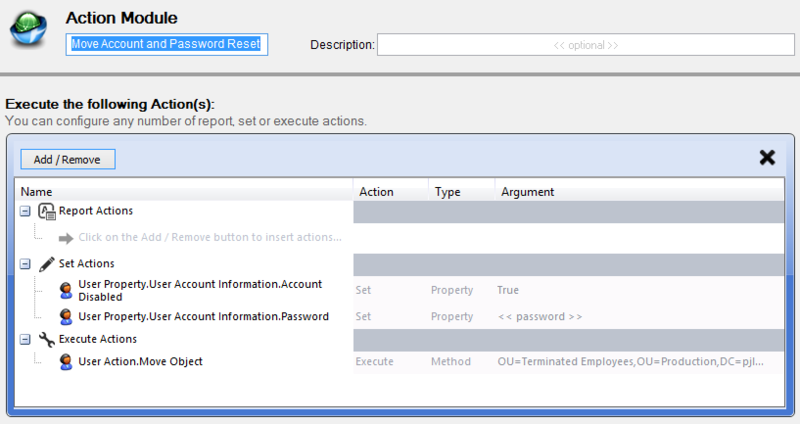 Terminate Employee – This workflow will log off the console user from any detected workstation, create a login history report, create a recursive group member report and move/disable/reset the password of the Active Directory account. 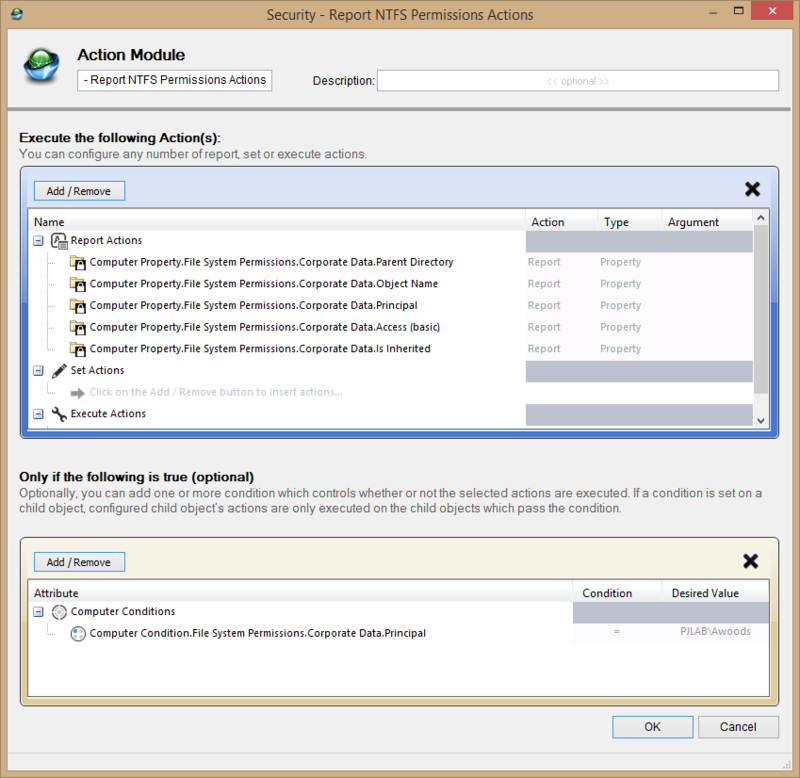 Report NTFS Permissions – This workflow will create an NTFS permissions report on a file server and filter the results by the user account that is being terminated. Export Mailbox to PST – This workflow will run a PowerShell script against an Exchange server and export the mailbox to a PST. 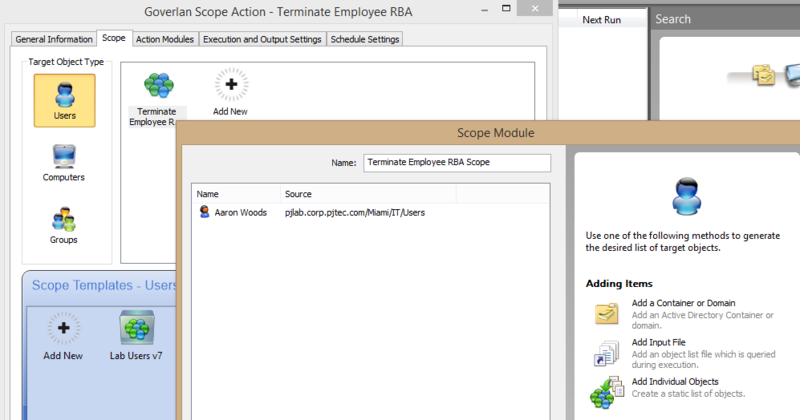 Master Termination Scope Action – This workflow will run the other three workflows in their specific order. To be able to implement this tutorial, you will need access to the full version of Goverlan Reach and its Process Automation framework. If you don’t currently own a valid license, you can download a free version of our remote access software on our website. The 30-day trial is free and no credit card is required. If you have never automated a workflow with our Process Automation framework, you may watch the below video or read our Scope Action Creation Basics article for more information. **This feature requires Goverlan v8.01.06 or higher. Add the user who’s access will be terminated. Add the file server that is hosting the files to be queried. Set the path that needs to be queried using the Manage Accessible Directories screen. Use the icon to add a new path that will be queried. Enter the local path that will be queried for permissions. This field supports wildcards and Windows Environment Variables. In this example, we will query the C:\Corporate Shares directory on the corporate file server. We set the recursive depth to 2 by settings the “Include subdirectories field to 2. Give this object a display name. 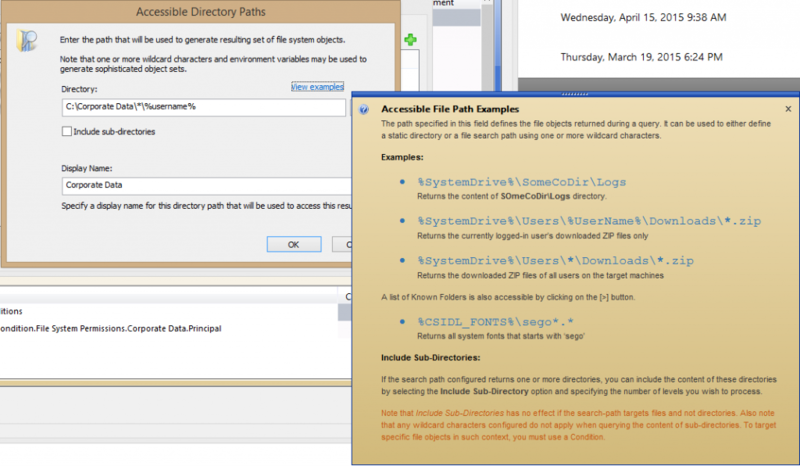 Report Computer Property –> File System Permissions –> YOUR ACCESSIBLE PATH DIR –> Parent Directory, Object Name, Principle, Access (Basic) and Is Inherited. Condition is “=” and desired value is the DOMAIN\Username of the terminated employee. This Scope Action will need to the following script to function. Once you have the script working correctly, add it to Goverlan Batch and Script. For more information see the Script Package Manager in the user guide. 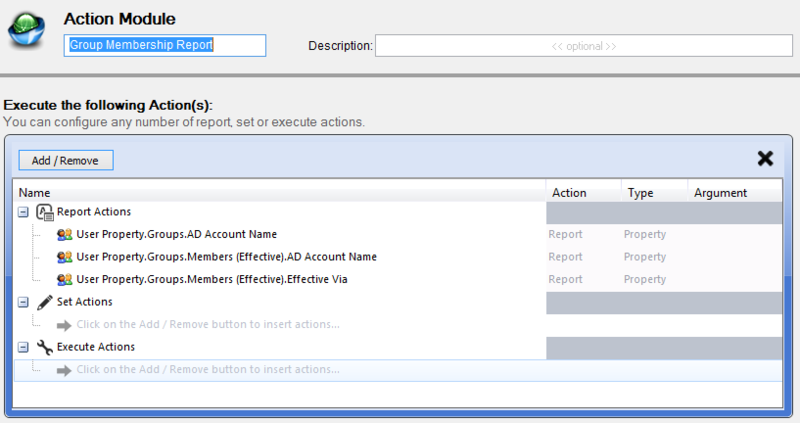 Be sure to enter the “Report Output” setting to catch any output from the script. 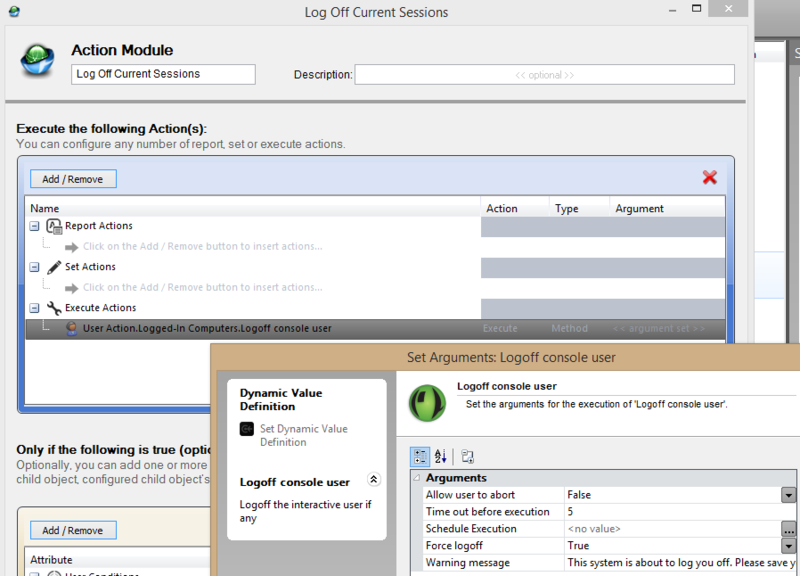 Scope Module – Enter the Exchange server that is hosting the mailbox as the target. 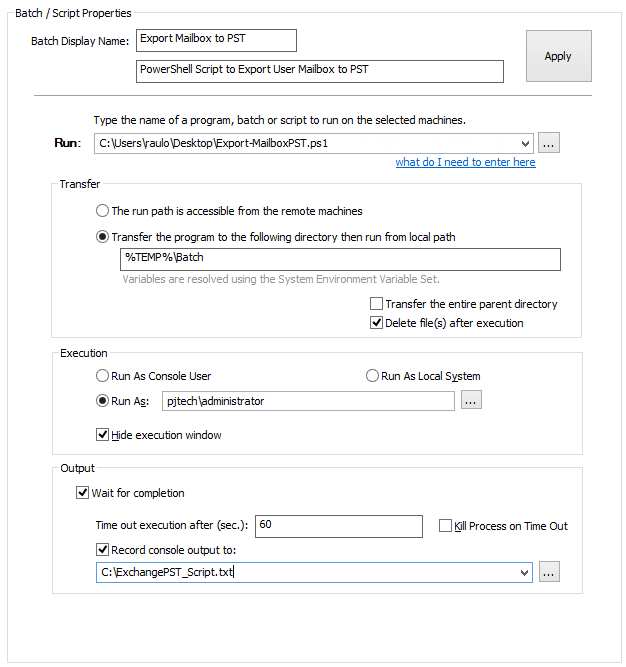 Select the script package that will run the Export to PST PowerShell script. This scope action will run the above three scope actions sequentially. For more information on configuring this scope action, use this technique. After this scope action is created, run it to start the termination process.